It’s not a secret conspiracy that the folks at Condé Nast and almost every men’s style editor hold J.Crew’s style cred at such high regard. J.Crew’s prevailing ability to remain relevant in today’s fashion market is attributed to their establishment of a distinct fashion point of view that safely scribbles out of the defined margins of mainstream style. Moreover, the brand’s collaborations with third-party labels like Levi’s, Alden, and Red Wing, have allowed J.Crew to remain boutique-like in their tenor. 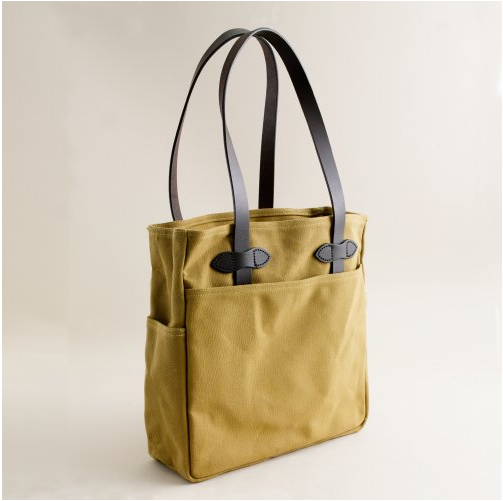 Made exclusively for J.Crew, this simple but striking tote speaks a sense of sprezzatura to the urban male who aspires to maintain an equal balance between function and style. Limited in its edition, it is made by Filson, a company that has been crafiting outdoor goods and rugged apparel since the 1800’s. Filson has also been making bags for Urban Outfitters. Kylie’s “Get Outta My Way” starts off where her smash hit “Slow” began and ended. A familiar Kylie snapshot sets the scene and its oh so hot: a bird’s eye view of the Aussie songstress writhing and gyrating amongst a sea of the scantily clad. Fast forward to 2010 and we’ve got a similar situation, only this time with lots of electric candy, peroxide blondes, a distant nod to Paris Is Burning and fantastic production. The warmest of blues and plum set the backdrop amidst strobe lighting that shadow the performers and Kylie herself, resulting in a video that is visually captivating. Void of a concrete story, the video highlights the song’s pulsating, feel-good vibe, presenting some of the finest production and effects to date. What struck me most, are the very subtle fluctuations in light. These warm and warmer allusions, hardly noticeable but definitely present, add to this gracious work of contemporary art. The video is directed by the English, Berlin-based powerhouse, Alex and Liane. Frieder Weiss is the genius behind effects, particularly the very apparent strobe lighting shadows. The folks at Academia De Vino definitely take their vino seriously, and with reasonable justification. 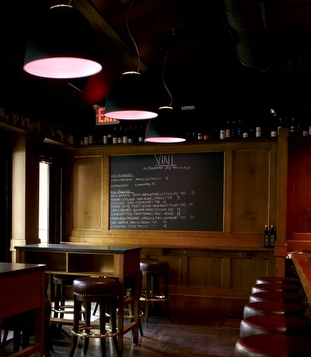 A look at their wine menu which is printed on a college note book, runs the grape gamut quite extensively. Marking its territory on the Upper East and West side of the island, the food offerings at this tratoria do not necessarily reinvent the wheel. Still, some dishes are delicious. The Spaghetti with Duck Meat Balls ups the ante on comfort pasta. Who knew a duck meat ball bathed in a marinara could taste so good? For something a little more different, opt for the Pesto Orecchiette Pasta with Chicken Sausage. Think fresh, homemade pasta ears filled with a delicious herby pesto. Having said that, for an establishment that seems to pride itself on its wine knowledge, the service staff did fall short on their vino cred. The waiter couldn’t really be bothered to take the time to wax poetic on the establishments varietals. Nonetheless, the restaurant host did spontaneously emerge to rave about the Nutella Pizza, which seems like it would be quite the dessert. 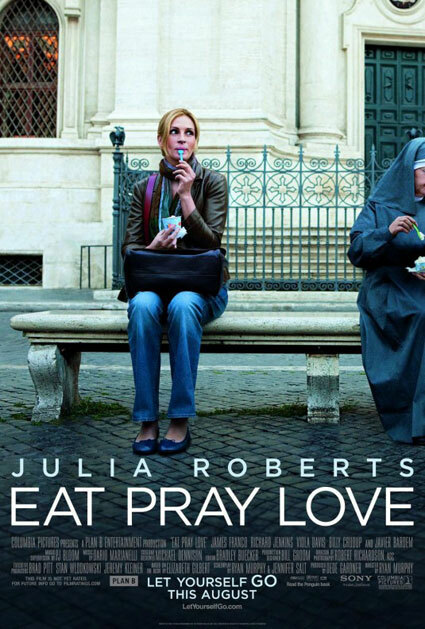 Great expectations dissipated into thin air when I finally got to see Eat Pray Love. The highly anticipated Julia Roberts’ interpretation of a story well celebrated fell short on many a note. Spiritually, the film hardly scratched the veneer. Moreover, the movie seemed it was made exclusively for Lifetime and not the big screen; all the more adding to the disappointment of what was supposed to be a summer hit. Let’s talk about the Eat. Apart from a select pasta romance, the life altering gastronomical epiphanies that were meant to unleash a delicious religious experience all seemed cliché and almost annoying. Pray, which is set in India cradles the movie’s finest moments. As we encounter a frustrated Liz, battling with her inability to meditate and realizes the hardship of this enlightened path that she is seeking. These fine moments are diminished with the most mediocre of direction and a rather empty presence of the film’s cast.